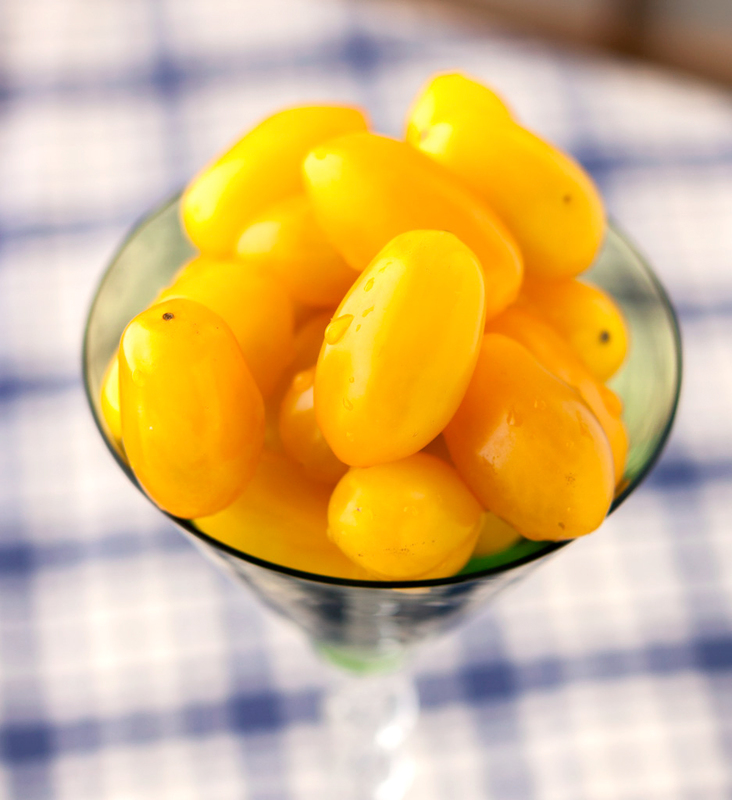 With summer just around the corner, everyone is already thinking ahead to cooler, lighter and fresher-tasting fare. 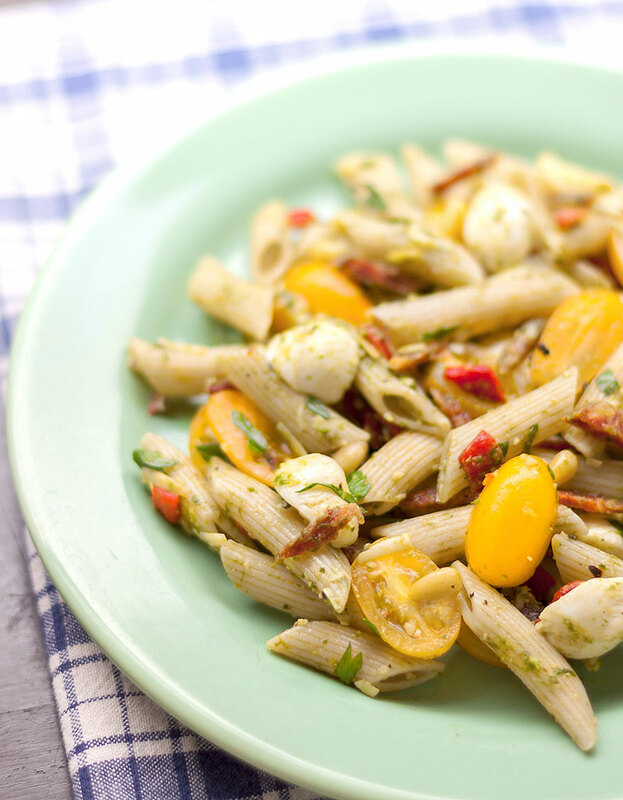 This flavorful pasta salad easily fits the bill, combining the last of spring’s wild ramps with juicy, ripe grape tomatoes and savory-sweet roasted piquillo peppers. Roll in a generous helping of slivered artisanal salami, and you’ve got a refreshing pasta dish that explodes with the unexpected contrast of fresh, lively ingredients and robust, earthy flavors. We used the last of our spring ramps, also known as wild leeks, to create an unusual and particularly tasty version of the classic sauce, pesto. Pesto is most familiar as a blend of fresh basil, pine nuts, garlic, olive oil and grated cheese, but its constituent ingredients are often varied according to whatever is on hand. With the season for fresh ramps almost at an end, we took the opportunity to whip up a batch of ramp pesto before they were gone for the year. 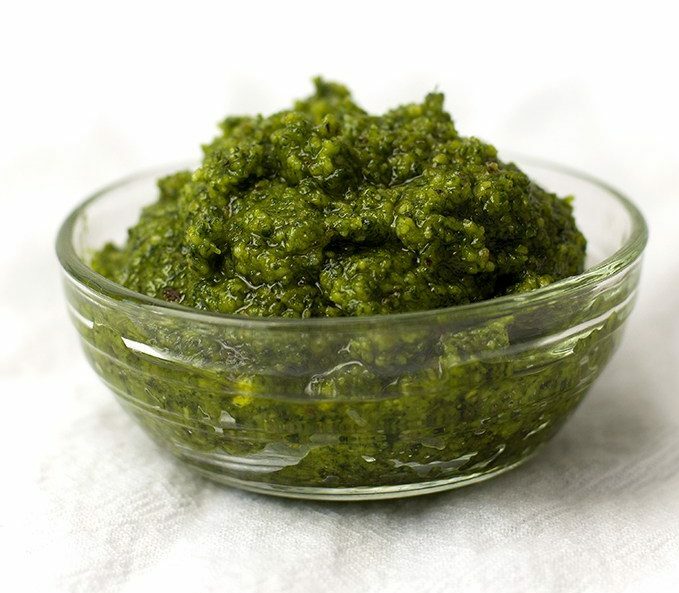 Ramp pesto is a versatile ingredient; it’s handy to keep a stash of it around the house, ready for use at a moment’s notice. It will last for up to two weeks in the fridge, but it also freezes well for up to a year. We like to spoon pesto (ramp or otherwise) into ice cube trays for freezing. When frozen, the pesto cubes can be popped out and put into freezer bags for long term storage. Simply take a cube or three out, defrost, and enjoy the wild of flavor of spring ramps, any time of the year. 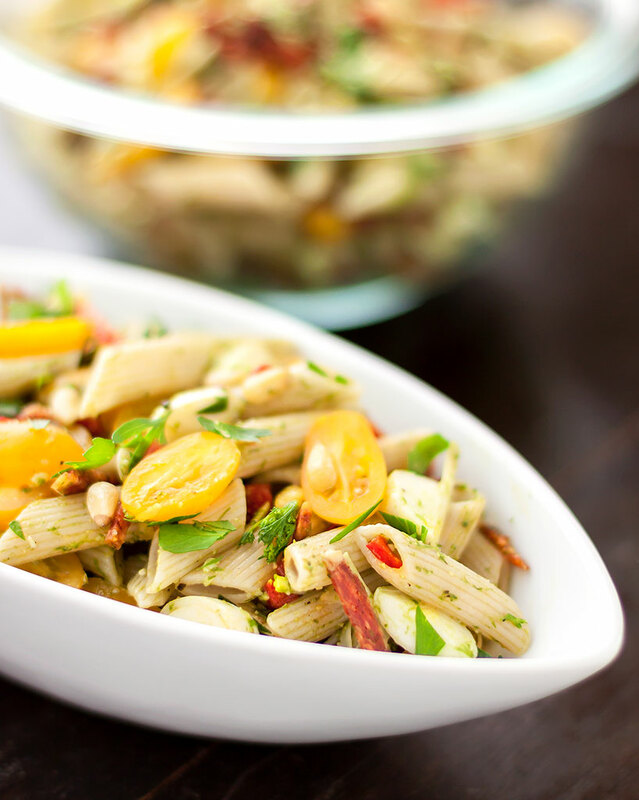 A perfect salad for light lunch, picnics, parties and potlucks. Bring a large pot of salted water to a rolling boil. Add the pasta and cook according to package directions. When tender, but still slightly al dente in texture, remove from the heat and drain. Rinse immediately with cold water to stop the cooking process and drain again. Set aside in a large bowl. Gently stir in the ramp pesto to coat the pasta, then add the rest of the ingredients and toss to combine evenly. 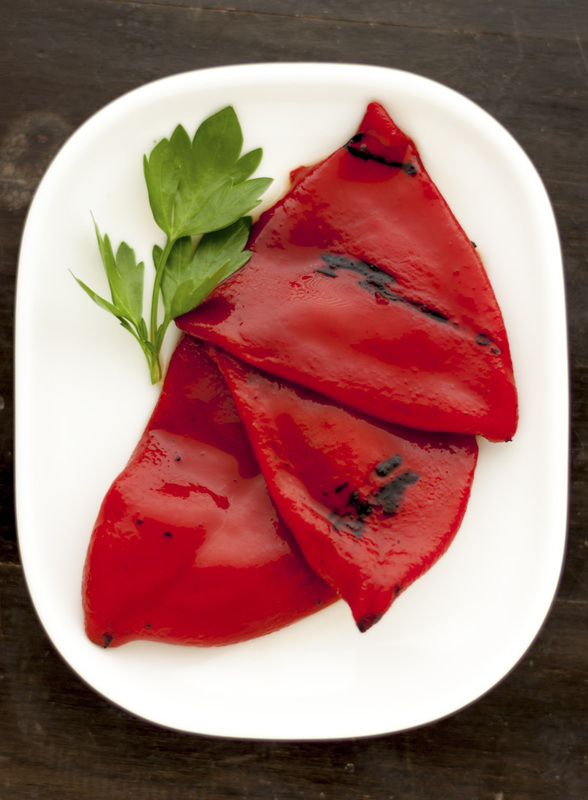 Serve immediately, or refrigerate until one hour before serving. Garnish with more parsley if desired. Cut the green leaves from the ramps, reserving the stems and bulbs for other uses. Bring a large pot of water to a boil. Quickly blanch the ramp leaves by dipping them into the boiling water and immediately taking them out. Plunge the blanched leaves into cold water to “shock” them. Using your hands, squeeze as much water from the ramp leaves as possible. Wrap them in cheesecloth (or a clean dishtowel) and squeeze them again until no liquid comes out. Chop the squeezed leaves coarsely, then put them into a food processor with the pine nuts and garlic. With the food processor running, slowly pour in about 1/2 cup of olive oil until a coarse puree forms. If it seems too stiff, add a little more olive oil. Turn off the processor and add the cheese. Pulse a few times until the cheese is well incorporated. Add salt and pepper to taste and pulse again to mix. Put the pesto into a container with a tightly fitting lid. Any unused portion can be refrigerated for up to two weeks or frozen for up to a year.